Annihilation Trailer Is Swimming In All The Alex Garland Madness You Could Want - Are You Screening? If you’re like me, there aren’t many movies you’re looking forward to as much as Annihilation. The next offering by Ex Machina‘s Alex Garland reteams the writer/director with Oscar Isaac, and also stars Natalie Portman, Jennifer Jason Leigh, and Tessa Thompson. While Ex Machina disappointed me a bit with its ending, it was still a wild ride that was incredibly entertaining and pulled some brilliant performances out of its cast. 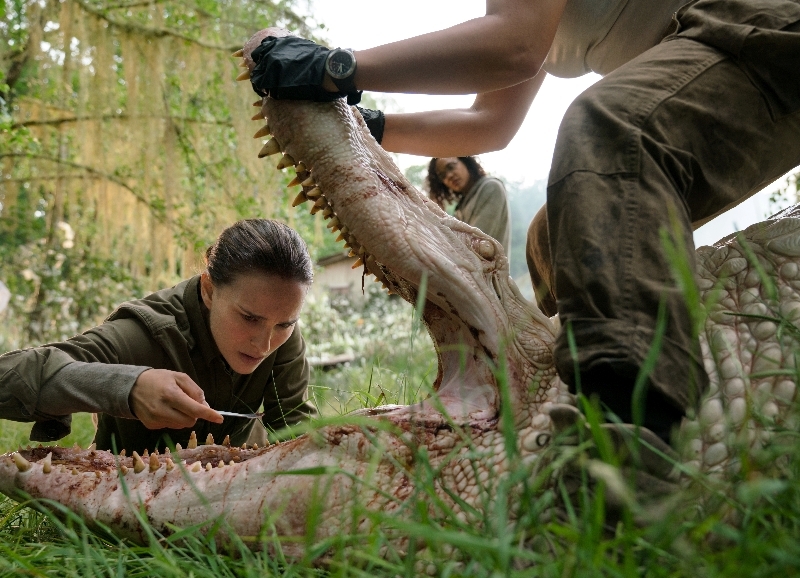 Annihilation looks just as wild, and it’s the sort of movie that makes you glad you get a trailer, because it would be hard to describe just what’s going on here. The film is based on Jeff VanderMeer’s best-selling Southern Reach Trilogy, and involves a variety of scientists and researchers apparently visiting a world where the laws of nature simply don’t gel with our understanding of what’s possible. The trailer gives you a lot of visuals to take in, without a whole lot of explanation, and showcases Natalie Portman’s lead role in the story. Take a look and mark your calendars for this one. You might want to watch this one a couple of times. Photo Credit: Peter Mountain – © 2017 Paramount Pictures. All Rights Reserved.